Welcome to another weekly update, Astroworkers! This week’s updates are largely on the back-end of things in preparation for future updates. We’ve fixed some of the controller issues with the buzzsaw, which should make it easier to control for starters. Controlling the saw when it’s closer to you requires a lot less finesse, so you won’t have problems destroying blocks directly next to you. The other update is in preparation for allowing more competitive play between Nom Nom Galaxy players. Currently when you start a map, you’re constantly playing against ghost data of your previous play session. This was a work-around for a lack of reliable competitive AI. In a future update, we’ll be introducing a feature to allow you to see leaderboards of for each map and download the top ghost data from our best Soup Co. employees to compete against. There’s nothing like a little inter-office competition for motivation! Fixed a bug which caused the buzzsaw to not appear when activated after immediately taking damage. Adjusted control of buzzsaw. It should be easier to control at shorter distances. Ghost data system has been updated. Previously, when selecting “Continue” on a map a new ghost data file would be created. We’ve modified it to append your current ghost data. This is in preparation for a later update, which will allow for some asyncronus competitive elements. Whether you’re ranging for ingredients or defending your factory, getting around the planet quickly is paramount to the Astroworker. The most pedestrian way to travel is, of course, by foot. But with a few upgrades you can equip yourself with a light and fast hoverboard, or a resource hauling vacuum tank. One of the problems with these vehicles, however, is that you have limited access to some of the Astroworker’s abilities. If you’re riding, you’re riding! In the latest update, we’re starting to expand upon those abilities to hopefully make the vehicles more attractive options for not only moving around planets, but also defending and collecting resources. For example, Astroworkers can now send heads flying from the hoverboard with the beam sword. This make sprinting back to the base for defense both speedy and deadly. Imagine cutting down your attackers mid-air! The vacuum tank upgrade takes away some of the tedium of collecting ingredients. 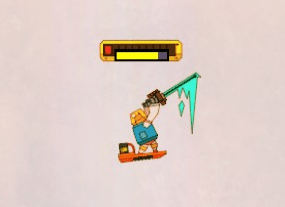 Simply use your buzzsaw to dig up the ground, then the vacuum to collect your bounty! Astroworkers can now use weapons while riding in vehicles! The beam sword can be used when riding the hoverboard and the buzzsaw while riding the vacuum tank. Rival companies sales data is now shown on the sales chart at the end of each day. Data from your play session will now be displayed after you’ve won/lost the planet. Players arms will now properly animate when aiming the shotgun and point in the correct direction. So last week we were screaming ‘goal’ for practice, but now it’s actually appropriate! 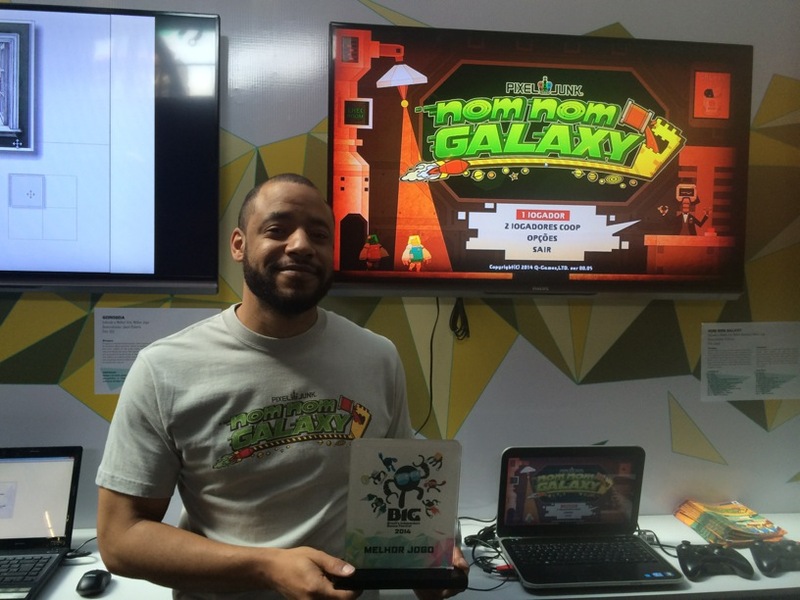 Nom Nom Galaxy was awarded Best Game Award at Brazil’s Independent Games Festival! We’re honored to receive the award, especially considering some of the great indies we were up against. Lovers in a Dangerous Spacetime (my personal favorite at the show) grabbed the Best Gameplay Award, and Gorogoa took home the Best Art award. The festival was amazing. We had the opportunity to play some great games, including a bunch of incredible indie games developed by studios here in Brazil. Some of the standouts included Aritana (which won the People’s Choice prize), Ninjin , Chroma Squad, Like a Boss! 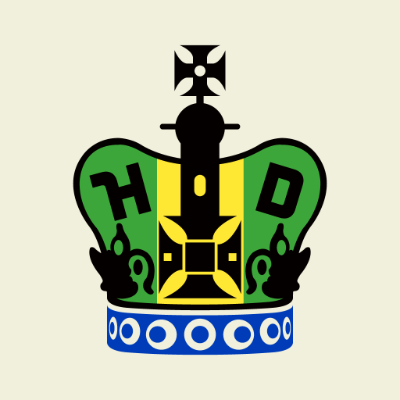 (Brazilian Games Winner), and Headblaster. We want to thank all the folks at BIG Festival for putting on a great conference. It truly was a pleasure to come and share our soup with the PixelJunk fans here in Brazil. This award will only motivate us to make Nom Nom Galaxy even better! In honor of the award, we’ve got a special treat for this week’s update: a new map! The new map is much wider than any of the previous maps, so there may be some issues (i.e, crashing) that occur when you build super large bases. Let us know if you experience any problems! When you are riding in a vehicle through a corridor, you can now press “↓” to pass through intersections to reach lower levels of the base. Fixed a bug that affected buoyancy of the vehicles when traveling through vertical corridors and caused vehicles to get stuck. Welcome to another weekly update for Nom Nom Galaxy, Astroworkers! Golden Week, Japan’s string of national holidays every May, just finished and now we’re back to making soup. Because of the holidays, we’ve got another light update with a few bug fixes and optimisations. As I mentioned last week, we’re holding back the good stuff this month for bigger and badder updates come June. So hold your horses (soup rockets?) while we smash bugs! Next week we’ll be at the Brazil Independent Games Festival in Sao Paulo, where Nom Nom is nominated for three awards: Best Gameplay, Best Art, and Best of Show. Wish us luck! Key an eye on Facebook and Twitter(@PixelJunkNews) for updates from the show! – PixelJunk logo has received a makeover for the BIG Festival. – Fixed a bug when buying Hoverboard while standing inside a building, making it unable to ride. That’s it for this week. Remember you can send you feedback to us here or in our Steam Community Group. We want to hear what you have to say! As we mentioned last week, we’re on a lite update schedule for the month of May. It’s the middle of Golden Week, a string of national holidays here in Japan, and many of us at Q are spending some much deserved time off with our family and friends. Even Robo-shacho can’t contain his joy. Look at him dancing! – Robo-shacho now has animations! – Separated graphs for total sales and sales per day. You can switch between them. – Fixed a bug causing the graphs to go off the screen. They should scale automatically now.